This week’s double bill is a continuation of the CULTIVATE art on screen with two of film and arts most inventive practitioners, the fiercely original JEFF KEEN who effortlessly jumped between drawing, painting, writing, poetry, filmmaking, animation and sculpture. Making a piece of art every day for fifty years till the day he died Jeff Keens work predominantly attacked the political classes and their dominance on the social psyche. His work examines the growing disparity between the classes the political and cultural dominance of America, the purification of war throughout the Middle East and ex-colonial countries beyond the North American and western European states. Jeff Keen used his love of comics and film to illustrate and represent his ideas as well as hold a mirror up to society, his amalgamation of beat poetry, collage and animation on found footage became his signature style a constant presence within his films and zine publications. His innovative DIY counterculture approach to his craft had him compared on many occasions to Andy Warhol’s Factory due to his prolific work rate. This throw away comparison misses the point of Keen’s work and why he produced work at such a frantic rate, his work was documenting the ever changing times we live in, by reproducing, questioning and challenging popular ideologies’ and using art to examine the world around us in the immediate through film, collage, text, drawing or painting. He made over 70 films under the RAYDAY films Monica have influenced countless artists and filmmakers and within creative circles is seen as far more influential than Warhol. 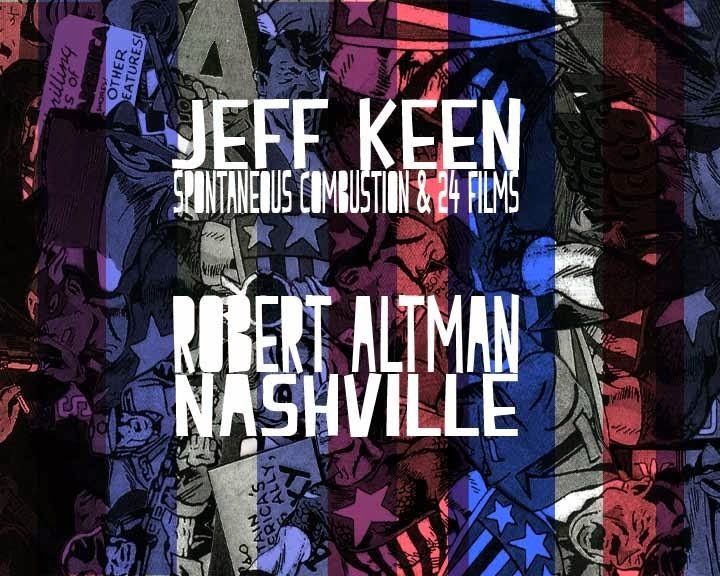 Followed by Robert Altman’s NASHVILLE Altman’s masterpiece analyses the American political system through the critical panorama of American society in the mid seventies. Looking at race, poverty, social and political divides. His examination of populism and its perversion of vision and their populist vision, Altman is one of America’s most famous satirists and NASHVILLE is a fine example of why, his style is yet to be replicated. 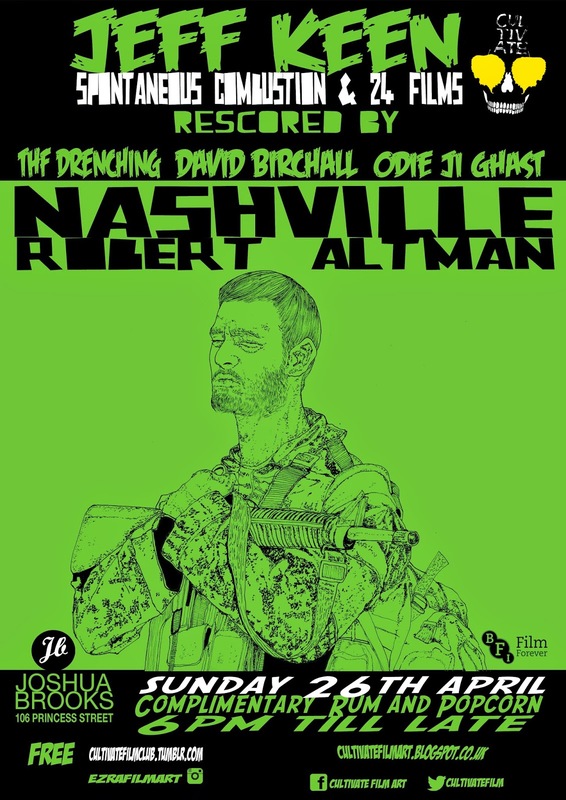 Jeff Keen,s films will be scored live by Manchester based artists THF DRENCHING, DAVID BIRCHALL and ODIE JI GHAST.